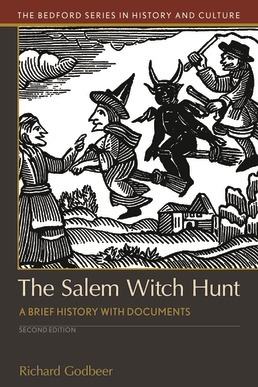 Using material from actual witch trials, Salem Witch Hunt explores the beliefs, fears, and historical context contributing to the witch panic of 1692. Presenting a clear picture of the gender norms and social tensions that underlaid the witchcraft accusations, the text breaks down how the Puritans' worldview precipitated in them a need to seek a supernatural explanation for the problems vexing their community rather than directly addressing the issues. Better understand this unique and infamous period in U.S. colonial history with a detailed presenation of the before, during, and aftermath of the Salem Witch Trials.